What Is Wrong with Georgia’s Modernization? What modernisation may mean in Georgia’s context? Suggesting precise and universally accepted definition of the broad concept of modernisation is mission somewhat impossible, as its interpretation largely depends on the historical, technological, political and cultural context as well as on geography. Still, it is widely believed to imply technological progress coupled with the transformation of political or economic systems, societies and countries from what is considered to be traditional, status quo state – to a more developed, ‘modern’ stage. For the developing world, urbanization, industrialization, the universal spread of education and information technologies, as well as introduction and/or consolidation of liberal-democratic political (‘end-of-history’) systems and (‘Washington consensus’) free markets are seen as essential aspects of the processes of modernisation; Although in some of the more advanced societies these processes may take even opposite directions. Globalisation has added an additional dimension to this rather ambivalent notion implying the interconnectedness with the outer world as its essential characteristic nowadays. There are aspects of modernisation that are or can be imposed from above, or even reversed, but some others take place along with overall technological progress and increasing openness of the world, for good or bad. The idea of accelerated modernisation served as a key guiding principle for many societies in transition, including the post-Soviet states, although the process and results have never been same, with Baltic countries serving as the most straightforward examples of rapid modernisation, strongly supported by its Western neighbours. Most probably, countries like Turkmenistan or Uzbekistan can be taken as opposite examples of the states where political modernisation has stalled if not reversed, bringing to mind such factors of change as path dependency, political culture and geopolitical environment. Georgia may be taken as an example of a post-Soviet state with relatively brighter present and expected future, even though its post-independence path was very far from rosy. While one of the relatively prosperous Soviet republics, after the demise of the Soviet Union Georgia rapidly slumped into interethnic strife, political instability, and nationalist fervour, aggravated by massive corruption at all levels and universal impoverishment of the population. This resulted in the violent overthrow of the first post-independence regime in the winter of 1991-1992, followed by the intermittent periods of enthusiastic optimism and mass frustration, leading the country to the brink of the state failure. The Rose revolution of November 2003 was widely considered to be the new beginning of Georgia’s accelerated modernization – even the critics admit significant progress in reforming all the spheres of government bureaucracy, eradicating low-level corruption and liberalising economy. Georgia made a dramatic U-turn towards a modern Western type modern democratic state and was famously named as “beacon of liberty” by George W. Bush. However, practices often deviated from declared goals, elitist policies did not eradicate mass poverty that remained unchanged against the background of rapidly growing social inequality. The personalised system of decision making by a small and closed group of top leadership contributed to mass protests of November 2007, then the tragic disaster of the August 2008 war with Russia, and the subsequent failure of the ruling party led by president Saakashvili to stay in power. In October 2012 Saakashvili’s government has been replaced by the Georgian Dream coalition, which opted for less formally libertarian economic model but also less actual involvement of the state in economic life. However, for a number of reasons economy is only slowly developing as hardship and mass unemployment remain the number one concern for Georgia’s citizens. While there are certain achievements in particular with the signing of the Association Agreement with the EU, and the expected introduction of the visa free regime in the Schengen countries, no loud self-praise by politicians from the ruling coalition can convince Georgians that the country is on the right way of modernisation and development. The past promises and optimistic statements clash with the harsh reality, political participation of frustrated citizens is losing momentum, while the incumbent leadership of the rather non-homogeneous ruling coalition haphazardly created in order to bring down the Saakashvili’s rule, lacks any long-term vision of where country is heading, and is dangerously losing support of the frustrated but also totally disoriented population less than one year before the next parliamentary elections that may bring around quite unexpected and undesirable outcomes. So, what’s wrong with Georgia’s modernisation and what should be done about it? First of all it should be well remembered that Georgia restored its independence only in 1991, after 70 years of Soviet rule and just very brief experience of independence before that, being for another century or so just a part of the Russian Empire. It is not easy to get rid of this unhappy legacy, deeply imprinted in the minds of people and thoroughly influencing their mentality and political culture, leading to lack of both social responsibility and social cohesion, among other things. 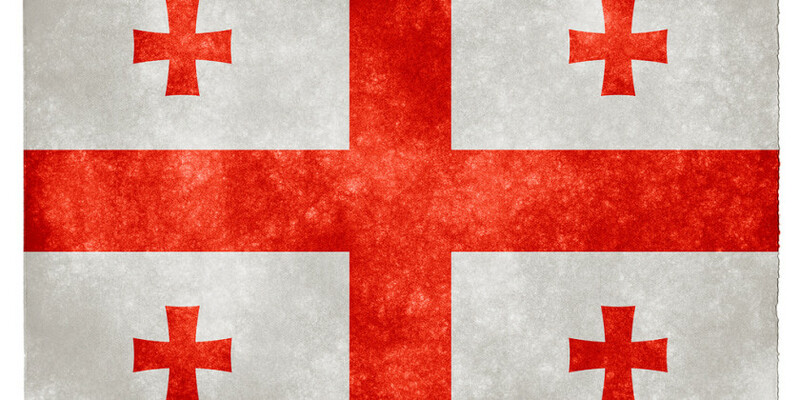 At the same time nationalism and distrust of the state that preserved the population from being indoctrinated by the Communist ideology, and was instrumental in achieving independence, – got at the root of independent Georgia’s early problems, leading to instability, conflict and state failure that are hardly conducive to modernisation. Another serious obstacle to social harmony and development is the high level of personalisation of politics and governance, probably linked to the deeply rooted mistrust toward any ideology that reminds of the excessively ideologised Soviet past. This in its turn leads to the lack of interest toward any clearly formulated long-term strategy or vision, and the mutual mistrust between political elites and public at large, while resulting in the lack of democratic participation, closed system of decision-making, frequent imitation of democratic procedures, and the tradition of ‘doubletalk’ when rhetoric is deliberately dissociated from reality. 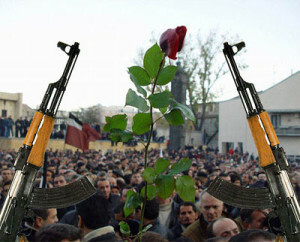 To make things more difficult, Georgia’s public opinion is strongly influenced by the conservative, anti-western rhetoric as the Georgian church continues to play powerful if not inconsistent didactic role, promoting archaic values of religious intolerance and homophobia, as ways to counteract ‘degrading’ western influences. 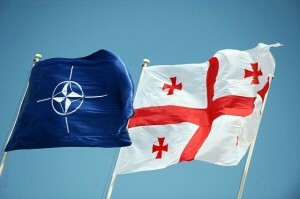 Surprisingly enough, the Western support of Georgia also bears the stamp of personalised perspective on the political processes in the country, oriented not just toward the processes and institutions as they actually are but rather the leadership and their rhetoric, showering praise or criticism for the same actions depending on who is implementing them. As a consequence such approach is mixed with the weak conditionality of support along with poor understanding of real processes behind the often misleading statements of political leaderships. After the modernisation imposed from above did not work well, we observe its stalled progress, with little capacity in the government to either plan or effectively implement respective long-term policies. Politics in Georgia commonly develops in dramatic cycles of exaggerated expectation with the new leadership coming to power on the wave of public enthusiasm and trust, replaced in just a few years by disappointment and political indifference, to be again followed by new hopes and the radical rejection of the yesterday’s favourites. Geopolitical environment is not too conducive either to political modernisation or long-term planning. Russia in the north remains for the last decade the main and unpredictable threat to Georgia’s security and stability, apart from militarizing and de-facto appropriating two breakaway Georgian provinces. While trying to use Europeanization and Westernisation as the main vehicles of modernisation, Georgian leadership has to permanently calculate risks of confrontation with Russia. In addition, apart form security concerns, because a significant number of Georgian economic migrants live and work in Russia, economic problems that it is currently experiencing as a result of its aggressive and often irrational foreign policies have unavoidably negative effect on Georgia’s economy, and therefore on public mood as well. Taking into account the existing obstacles hindering Georgia’s successful modernisation, the question arises what the West can do in order to facilitate and help direct the process in the right direction, towards consolidated democracy, good governance, and genuinely free and effective market economy. There are several things that need to be taken into account in order to be effective on this path. The most important is probably aiming at thorough understanding of the real processes going in the country, and realising that modernisation cannot be accelerated too far, otherwise there is high risk of its stalling or reversal. Because real development needs time, it should be the youth that should considered as the main target for concern and support, and hence the west should be ready to seriously invest in high quality education while there is still human basis on which this can be effectively built, before it is too late. The West should also well realise that Georgia has to deal with its powerful and unpredictably dangerous northern neighbour and there is an urgent and mounting need to think of the ways of strengthening Georgia’s security, whether through accelerated Euro-Atlantic integration or by other means, otherwise Georgia’s prospects will be permanently under the risks of disruption. It should be also kept in mind that information and mass communication play an increasingly important role in the battle for human minds, and urgent support and initiative are needed to help counteract overwhelming Russian propaganda that may make all other efforts useless if not taken care of. Finally, it should be also understood that Georgia’s economic development cannot be secured just by concluding the Association Agreements, as Georgia needs to start producing goods in order to benefit from trade with the EU and the West – hence, special attention is needed to promote industrialisation and technological development in Georgia, which once again requires well-educated managerial and engineering cadre, but also sources of venture and long-term investment supporting technological innovation and high-tech production. It would be naïve to expect all of what is said above to take place any time very soon, but if the West is seriously interested in supporting one of the very few post-Soviet countries on its borders that possess a good chance of overcoming the curse of its historic legacy, attention should be paid to these issues. Georgia, while a small country, possesses a great potential of serving as an excellent showcase story, showing a path of hope to other transition societies. It would be a great pity and a bitter failure if this chance is missed. Will the European Parliament call the mass murder in the Middle East ‘genocide’?